Quantitative exploitation of satellite images in high mountainous areas requires a rigorous procedure of data correction for removing both the geometric and radiometric distortions; consequently, an accurate DEM is necessary. The accuracy of the DEM was evaluated according to two criteria (Carrara et al. 1997) concerning visual analysis (presence of artificial elements) and the comparison between the original contour line and those obtained from contour generation algorithms applied to the DEM itself. The Landsat-5 platform orbits at a height of 705 km, and since the scene detected is approximately 185 km wide, the greatest distance from the nadir point is 3083 pixels. A difference in elevation of 2000 m from the reference level, causes a pixel located at east or west boundary of the scene a position displacement from the orthogonal projection of about 9 pixels, i.e. 270 m. Such a geometric distortion cannot be corrected by applying polynomial equations based on a set of ground control points, as is usually done in geo-referencing techniques (Richards, 1986). In areas of high relief, pixel displacement corrections must be performed by applying an othorectification method with the DEM available. The Valmasino DEM with a 30 m grid size was employed to correct Landsat TM scenes for the relief displacement by using an orthorectification procedure and satellite images were thus georefe-renced to the UTM Zone 32. A nearest-neighbour resampling technique was used to retain radiometric integrity. The root-mean-square error turned out to be less than 1 pixel for both TM images. 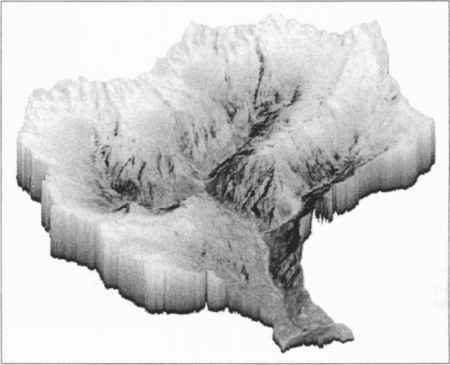 Figure 3 shows a three dimensional representation of the Valmasino watershed. Band 3 of the TM scene acquired on May draped over the DEM gives an impression of the morphological complexity of a typical Alpine catchment. Satellite TM data were then radiometrically calibrated and atmospherically corrected both in the reflected and thermal domains. In rugged terrain, radiometry must be corrected for atmospheric effects, accounting for the different thickness of the atmospheric layer (depending on the target altitude) that the radiation has to go through, and for the effects of the topography accounting for the relative angle between the normal vector of the surface target and sun illumination. Atmospheric and topographic correction in the reflected domain was performed by improving the method proposed by Gilabert et al., (1995). The approach consists of an inversion algorithm based on simplified radiative transfer models in which the optical characteristics, necessary for the atmospheric correction, are estimated by using a combination of TM band 1 and TM band 3 signals and assuming the existence of a number of dark surfaces within the scene. A horizontally-homogeneous atmosphere was assumed, and the total atmospheric transmit-tance changes with the altitude of the target. Such a hypothesis allow an approximate knowledge of the atmosphere composition and structure and the retrieval of the actual surface reflectance can be carried out without any direct measurement of the optical properties of the atmosphere. Topographic effects on the radiometry of the images were accounted for by considering the incidence angle of sunrays on the surface, and cast shadows. The angle of incidence was obtained by extracting the relative sun position with respect to the target, through its morphometric parameters such as slope and aspect. Cast shadow maps were derived by means of an algorithm of local shadowing horizons search (Dozier, 1981). Figure 4 shows a sample extracted from TM band 1 depicting the Valmasino valley bottom, south-east and north-west oriented slopes, before and after the atmospheric correction procedure. Digital number variance of north-west oriented slope (shaded by the relief) increases greatly when the correction is applied. In such conditions, broadleaf coniferous change recognition is possible in the corrected image only. Apparent and corrected TM-1 reflectance frequency histograms in Figure 5 were extracted from the boxes depicted in Figure 4. Data variance increases and according to theory (path radiance contribution in the radiance detected by the satellite sensor in the blue channel is significative) mean corrected reflectance value is lower than the uncorrected value. 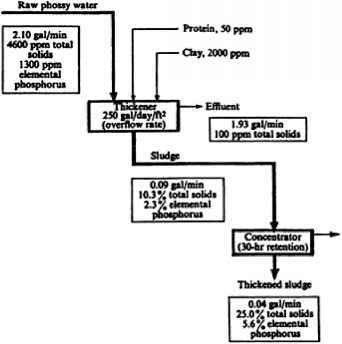 where is pure canopy emissivity and is pure soil emissivity. Finally, the corrected radiance was estimated and, by inverting the Planck radiation equation, the hemispherical surface temperature maps were obtained. The transect in Figure 6 shows the difference between the uncorrected and the corrected hemispherical surface temperature in relation to the topography and the land cover classes. The snow cover, present in the higher part of the catchment, exhibits a negative difference due to the low emissivity value. Considering values relative to a single class, a reduction in the temperature difference with increasing elevation of the target is highlighted. The land cover map, needed to stratify the watershed surface, was obtained from supervised classification of geometrically- and radiometri-cally-corrected reflective TM bands. A maximum likelihood algorithm trained with information collected during the field surveys and aerial photographs was used as a classifier. Classification accuracy evaluated through a confusion matrix showed a coefficient of agreement K equal to 0.85 and 0.97 for May and March scenes, respectively. Differences in K values are due to the phenological stages of broadleaf and coniferous forests, that during the winter season show the greatest separability. Field measurements, literature data, DEM and satellite corrected data were finally arranged in the IDRISI GIS environment (Eastman, 1997).